1952-1957 Dodge Red Ram Hemi Hi volume oil pump adapter. 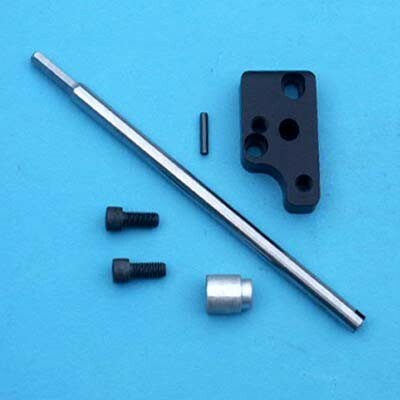 Kit includes adapter, locating bushing, new heat treated shaft and roll pin to install your gear. Kit allows you to bolt a late model small block Chrysler stock or hi volume oil pump. If you would like to also upgrade to a late model Chrysler distributer I can supply a special shaft with your kit. When you place your order, I need to know make and displacement of your motor, and if you are running a stock distributer or a late model 318 or 340 distributer.